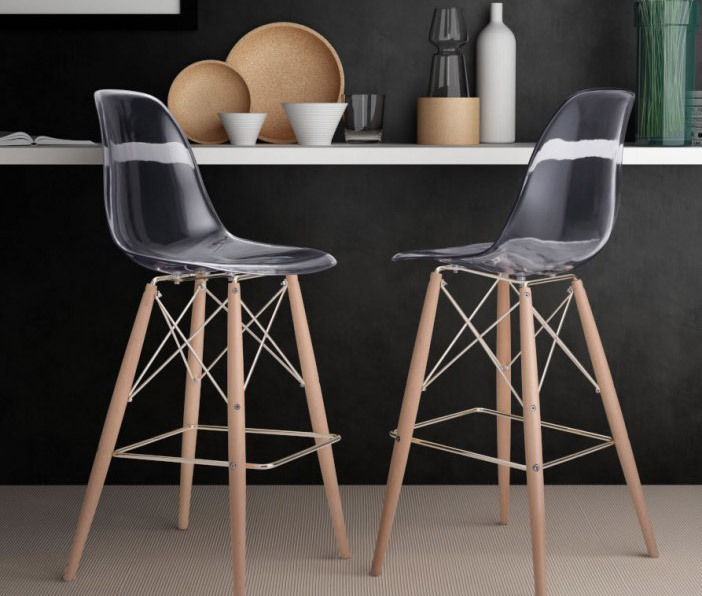 Boasting mid-Century appeal, the Shadow Bar Chair is a bold and stylish addition to your bar space. 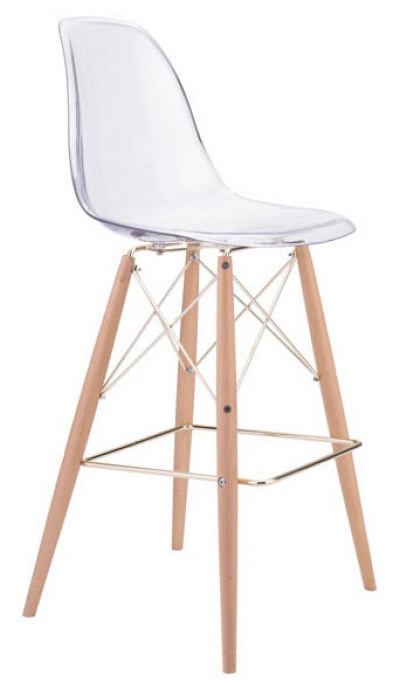 Shadow is crafted with beech wood legs, joined by chromed steel hardware, all supporting a clear acrylic seat and back. 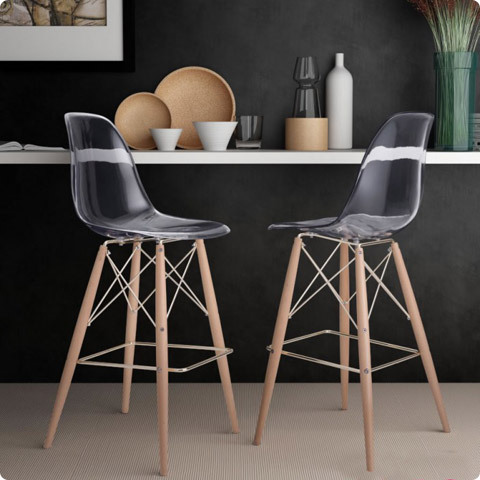 The result is a bar stool that blends modern and classic, industrial and tradtional into the perfect stool for your kitchen! Seat height: 29.5".